It happens every year, the weeks roll by and before you know it we are all talking about how the months have just flown by and we can’t believe it’s almost Christmas! With only four weeks to go, there will be the organised few who have already bought all their presents for loved ones. But if you’re like us and leave most of your Christmas shopping to the last minute – do not panic! We have you covered with a handy gift guide. What do you give the man who has everything? A gift voucher of course! Vouchers can sometimes get a bad rep – but we are here to kick that pre-conception out. Self-care is so important in today’s busy world, but not something many people make time for…..unless it’s gifted to them! 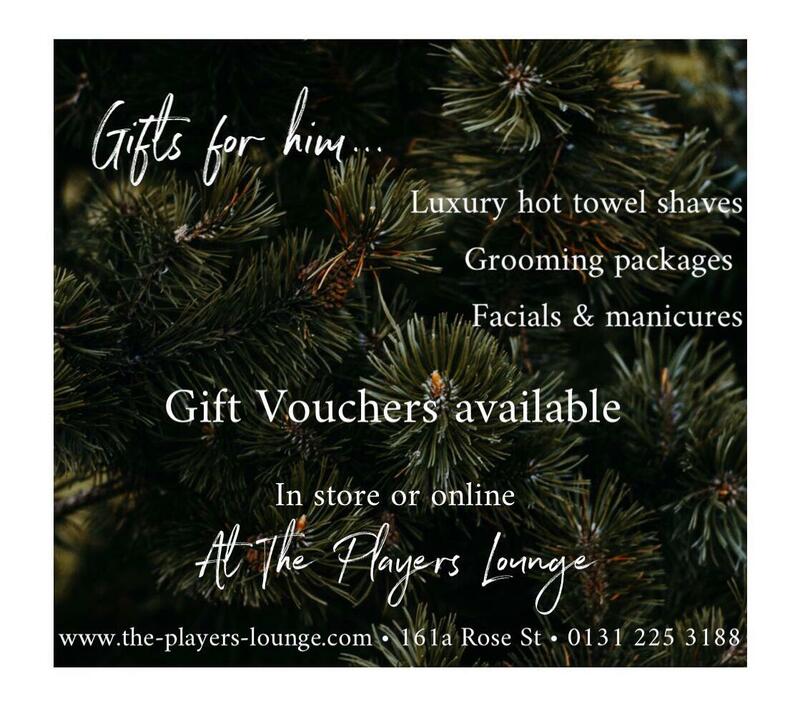 The Players’ Lounge offers a wide range of relaxing services: grooming packages, Indian Head Massage, facials and manicures. There is something for everyone. 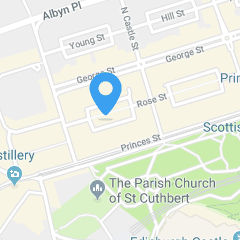 Even if the treat of a luxurious hot shave and scalp massage somehow aren’t up someone’s street – a gift voucher can still be used for a haircut or beard trim and you can be sure that the person you have gifted one of our vouchers to will be receiving the very best of services! We also stock a range of great products for a little something extra. Moroccan Oil products make the perfect gift for just about anyone with hair on their head. Created with an award-winning formula infused with Argan Oil so if you know Hydration is high on someone’s list – this is the brand to go for. You can go for incredible smelling shampoo & conditioner, or a hair oil treatment for a luxurious stocking filler. For your friend, family member or loved one who likes something a little different – we have Evo hair products. Evo is a luxury salon brand bursting with personality, that’s eco conscious too! Their simple product design makes them the perfect addition to your bathroom shelf – not only do they look great but Evo products do exactly what they say they do! Obviously as a barbershop, it’s not just the hair on your head that we have a variety of great products for – but we also stock the best products for the hair on your face. Apothecary 87 is the brand for beards. Our top picks would be the shave oil – a thick pre & post shave oil with antiseptic properties to reduce bumps and razor burn, original recipe beard oil – a leave in beard conditioner that softens and nourishes the hair, while moisturising the skin, and the beard balm –another nourishing product which provides a light hold without feeling too heavy. Looking for an extra stocking filler? How about face masks you can take away with you for a little at-home pampering. They’re not just for women anymore – we have a whole award winning range designed specifically for men and different skin needs. No gift is complete without some beautiful packaging for it to go in, and luckily we’ve taken all the hard work out of finding the perfect gift boxes – by creating them! You can create a pick and mix of your own products, or find some expertly curated by ourselves. Pop into the store Monday – Saturday and any of our skilled stylists will be able to help pick out the perfect gift for whoever it is you’re looking to buy for, we’re always happy to help! This entry was posted in Products and tagged barber, barbering, barberlife, beard trim, beards, christmas gift guide, christmas gift ideas, christmas gifts for me, christmasgiftguide, eco, Edinburgh, Edinburgh barber, edinburgh christmas, Edinburgh hairdresser, Edinburgh salon, ethical, evo, facial, hair, hair style, hair styles, hot shave, male grooming, male grooming salon, malegrooming, mens, mens cuts, mens facial, mens fashion, mens grooming, Mens hair, mens hairdressers, menshair, players lounge, theplayerslounge.